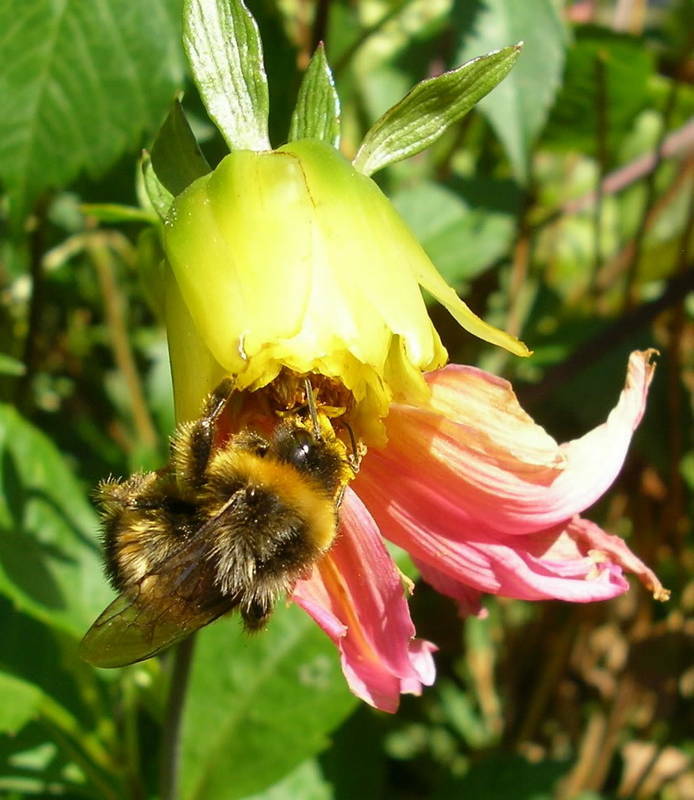 My hobbies include....sneaking up on bumblebees! Luckily we have many bumblebees here, in part I am sure because of their love of echiums and sunflowers, which seem to be two of their favourite plants. The echiums in particular are often covered in dozens of baby bumblebees. Bumblebees do not have ears so it isn't known for sure if they in some way "hear" or not but it appears they can sense vibrations. We've often come across their underground nests here which we leave protected and undisturbed. 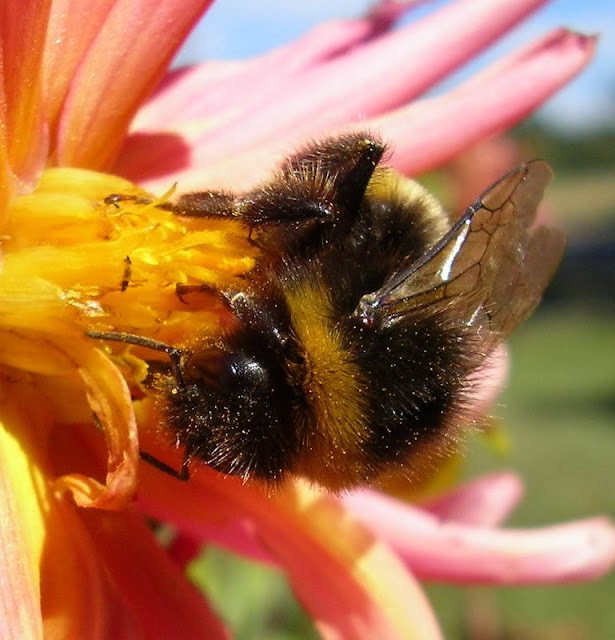 European bumblebees were introduced to Canterbury in the 1880's to pollinate red clover and later spread to Tasmania. 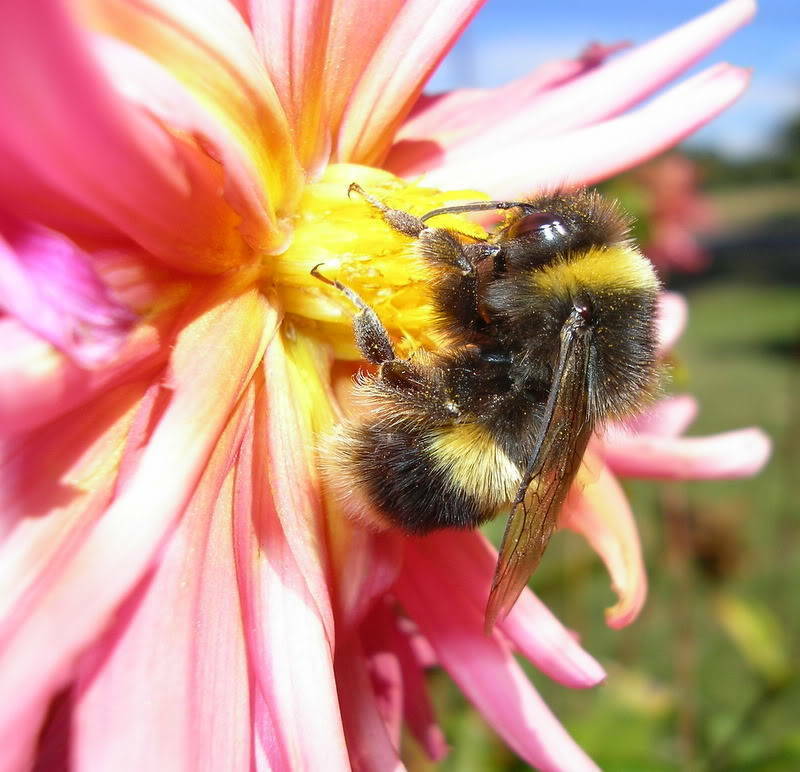 The bumblebees pollinate many crops and flowers, including broad beans and tomatoes and are much valued in our garden. 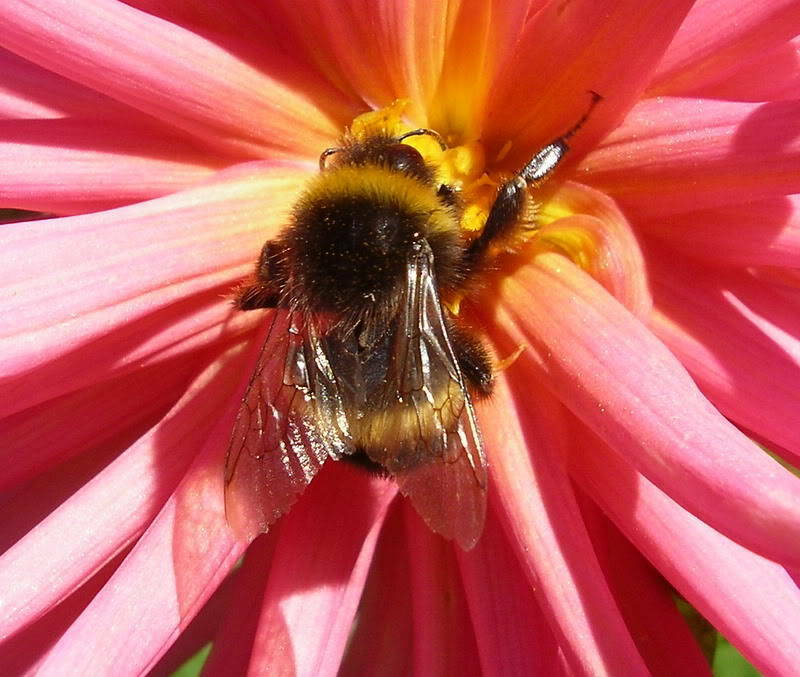 They are just one more reason to stay organic as pesticides decimate these wonderful little creatures.